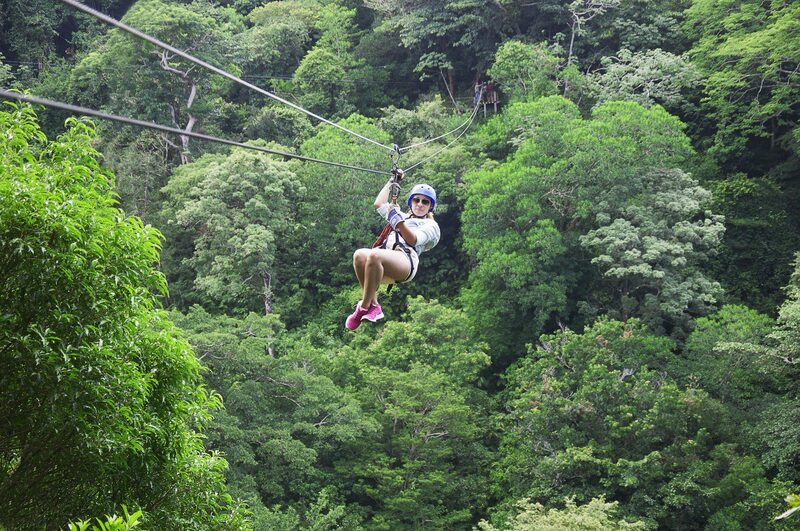 The Borinquen Combo Canopy Tour is the most exciting and breath-taking way to experience Costa Rica. 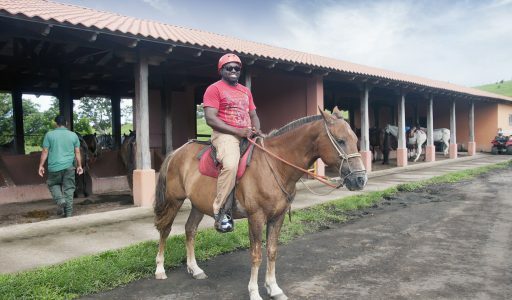 You will start the day with a horseback ride up the mountain of the Rincon de la Vieja volcano and through the plains, taking in the beautiful views of Guanacaste’s pacific coast. 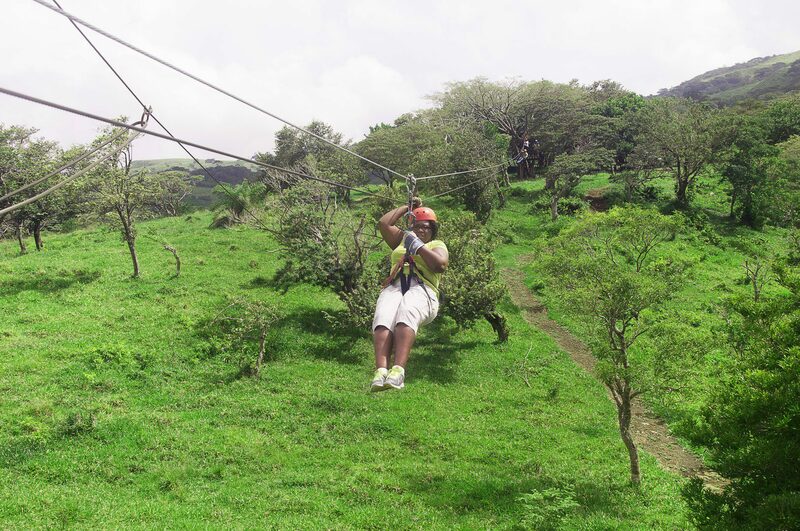 This ride last approximately 30 minutes until we reach the first station of the zip line. 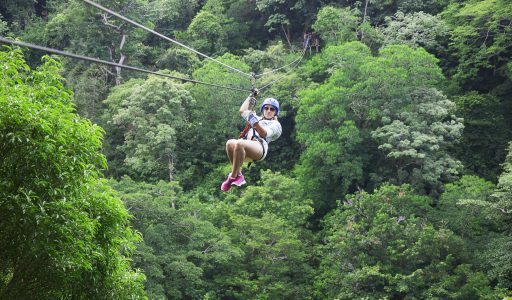 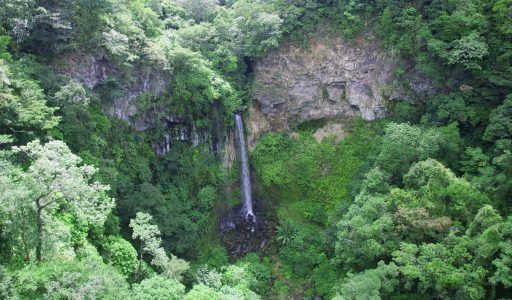 This Canopy tour consists of 13 platforms and 10 cables and you will fly over the tree tops, zip across the canyon and pass right in front of the breathtaking Borinquen Waterfall. 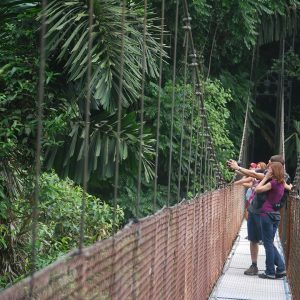 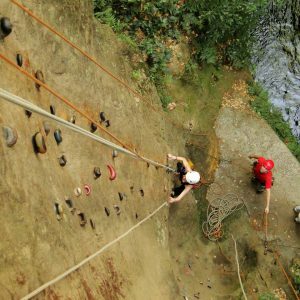 After this extreme canopy tour, you will go to the restaurant where you will enjoy a delicious lunch surrounded by the nature and fauna synonymous with this area. 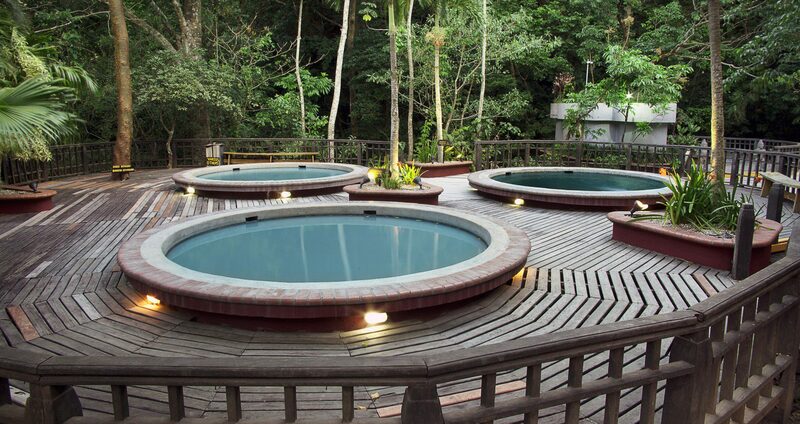 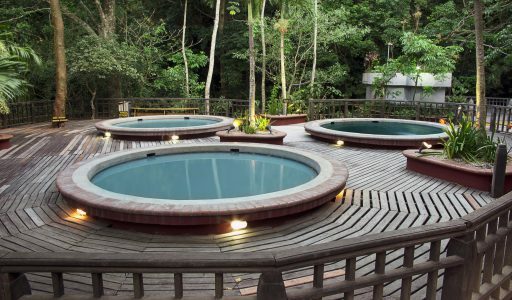 After lunch, you´ll spend the rest of the day soaking in the thermal pools, taking invigorating mud baths and relaxing by the natural, hot water pools. 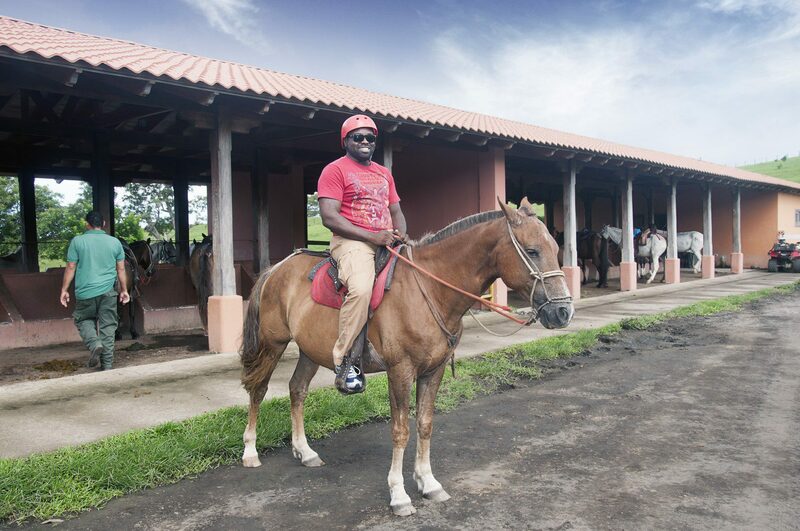 Location: This tour has transportation included from Tamarindo Beach, Westin Playa Conchal, JW Marriott Marriott Guanacaste, RIU Guanacaste Hotel, Dreams las Mareas, Four Season Papagayo, Secrets Papagayo Resort, Planet Hollywood Hotel and Occidental Papagayo Resort. 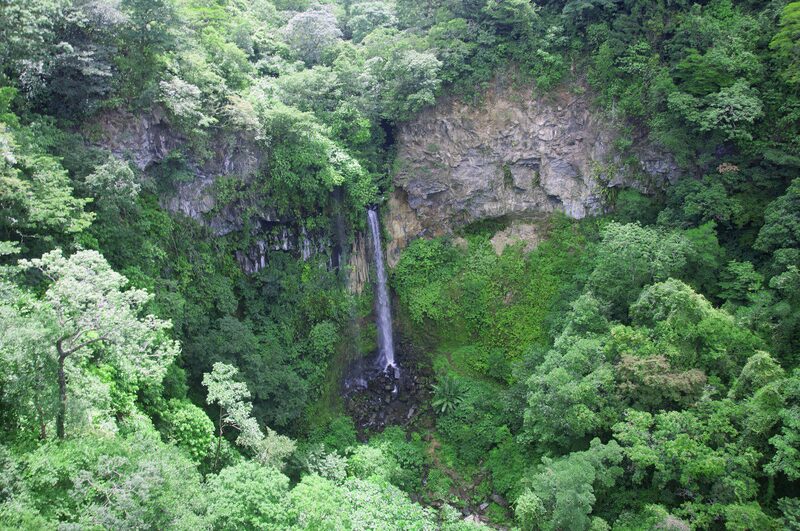 What to bring: Short pants, sun block, sun glasses, swim suit, comfortable shoes, sandals and cameras. 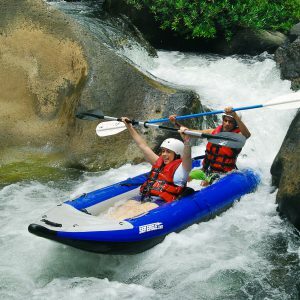 Price: $150 (Min 2 pax) – $135 (Min 4 pax) – $115 more than 8 people and kids 6-11 years $85 under 6 year free. 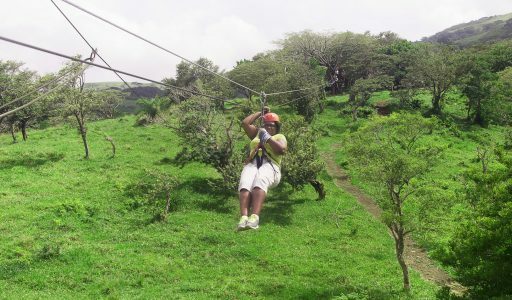 Price includes: Round trip transportation, bilingual tour guide, drinks aboard, horseback riding, zip line, lunch and natural spa.